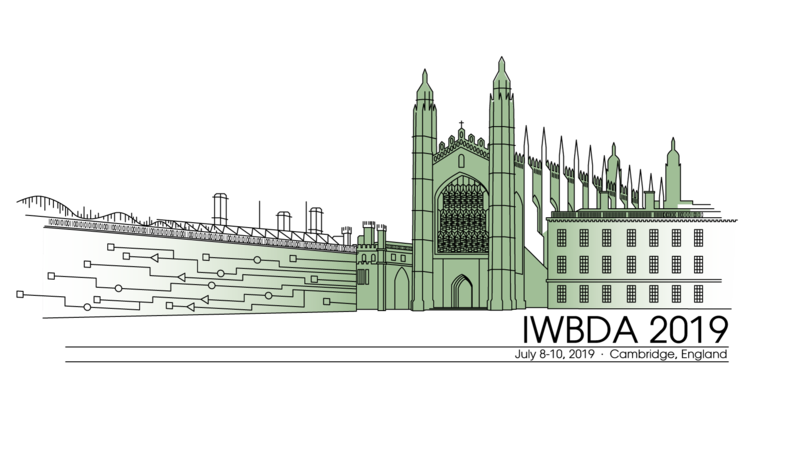 IWBDA will take place in Cambridge, England. Please submit all abstracts here https://www.easychair.org/conferences/?conf=iwbda19. If you do not have an easy chair account, please create one by following the instructions specified here. Abstracts should be two pages long and referenced. For your convenience, we have created a template for IWBDA Abstracts in Overleaf which can be found here. You can also download a sample pdf template here. Inclusion of figures is encouraged. Please indicate whether you would like your abstract considered for a poster presentation, an oral presentation, or both. Include the full names, affiliations and contact information of all authors. Abstracts should be submitted in pdf format and should not exceed two pages. Abstracts will be reviewed by the Program Committee. Those that are selected for oral and poster presentations will distributed to workshop participants and posted on the workshop website. Prior to IWBDA, there will be a one-day SBOL workshop on July 8th, 2019 at Cambridge University, UK. The workshop is aimed for both for software developers and SBOL users, and will include demos and tutorials. Although there is no registration fee for the SBOL workshop, participants should still register. More details and registration link to follow shortly. Sign up for the announcements email list here. The International Workshop on Bio-Design Automation will not tolerate harassment of workshop participants. Examples of such prohibited practices would include gossiping, slurs, offensive or derogatory comments, or other verbal or physical conduct. This includes sexual harassment as defined as "unwelcome sexual advances, requests for sexual favors, and other verbal or physical conduct of a sexual nature" not only when the conduct is made as a condition of workshop participation ("quid pro quo" harassment), but when the conduct creates an intimidating, hostile, or offensive workshop environment. IWBDA participants who feel they are being harassed by participants, organizers, or support staff should make it clear to the individual(s) that such behavior is offensive and unwelcome. Any participant who believes he or she has been subjected to harassing conduct can report the matter to the IWBDA organizing committee or the Bio-Design Automation Consortium (BDAC) executive committee.